How does the Galloway Training Program differ from other programs? Galloway training programs are designed to help runners of all shapes, ages, sizes and abilities to complete a 5k, 10k, half or full marathon without injury. Our approach establishes a run/walk ratio that enables participants to go the distance while remaining healthy and injury-free. The group is inclusive and supportive, encouraging each other in our run/walk goals. This is not an aggressively competitive or exclusive group. Our Pace Group Leaders, all experienced runners, genuinely care about helping both new and experienced runners succeed in achieving their goals by running every training run with their Pace Groups, keeping the correct pace, interval and ensuring that no runner is left behind during group runs. 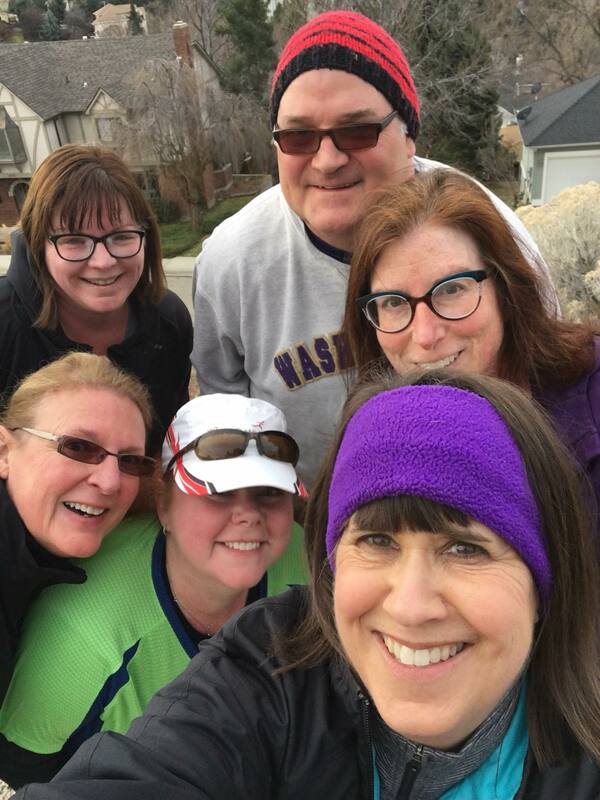 Additionally, Boise Galloway Training takes us along the Greenbelt as well as neighborhoods of Boise. We provide informational clinics about topics of interest to runners, discount programs at local running stores, and group support and participation in many local races and popular out-of-town races. The Galloway RunWalkRun method builds recovery into your runs. You will be able to continue a training regimen for a whole season leading up to your goal race without injury. The key is that race pace, training pace, and recovery are all regulated by the frequency of walk breaks, not by altering the actual speed of your running. Besides the Saturday group training, you will also run or run/walk a minimum of two sessions of 30 minutes each, but you can customize this schedule to meet your individual needs and schedule. Depending on your goals, total training will vary between 3 – 5 days per week. All participants are encouraged to take one day a week off completely. Beginners wishing to complete the distance will run three days per week and walk or cross train two days a week. More advanced runners with a specific time goal will run four days per week and cross train three days a week. If you can currently run/walk two miles, you can complete the training program. If you are running more than that continuously, this program will help you improve with minimal risk of injury. Groups are divided by pace and ability. All groups will be led by an experienced Pace Group Leader who will help guide your training at a pace that is appropriate for you. The goal is for all participants, regardless of pace, to stay conversational during the long group training runs. This means that you should be exerting yourself at a low enough level that you can talk. It’s okay to take deep breaths between sentences, but no “huffing and puffing” allowed! Most runners record significantly faster times when they take walk breaks because they don’t slow down at the end of a long run. Thousands of time-goal-oriented veterans have improved by 10, 20, 30 minutes and more in marathons by taking walk breaks early and often in their goal races. You can easily spot these folks. They’re the ones who are picking up speed during the last two to six miles when everyone else is slowing down. The mental benefit: breaking the distance into segments, which you know you can do. By using muscles in different ways from the beginning, your legs keep their bounce as they conserve resources. When a muscle group, such as your calf, is used continuously step by step, it fatigues relatively soon. The weak areas get overused and force you to slow down later or scream at you in pain afterward. By shifting back and forth between walking and running muscles, you distribute the workload among a variety of muscles, increasing your overall performance capacity. For veteran marathoners, this is often the difference between achieving a time goal or not. Walk breaks will significantly speed up recovery because there is less damage to repair. The early walk breaks erase fatigue, and the later walk breaks will reduce or eliminate overuse muscle breakdown. The training group meets for runs once a week. The time it takes on the run will progressively increase through the program. Depending on the mileage covered, it will vary from about 40 minutes to over 3 hours in the later stages of the half marathon training. We meet at Kristin Armstrong Municipal Park in Boise and occasionally at the Boise High track for the Magic Mile. All registered team members will receive a detailed e-mail each week providing information on the upcoming group run.Details on upcoming runs will be posted on a private Facebook page for registered Galloway members only. How do I know what pace group to run in? Your predicted race pace is calculated by your speed in the “Magic Mile”, which is a timed mile we do as a group. Your placement in an appropriate pace group will be determined by your magic mile results. During the first training of our season you will run a Magic Mile, and based on those results you will be placed in a pace group that is right for you. In order to move to a faster pace group, you will need to run a Magic Mile appropriate for that group. 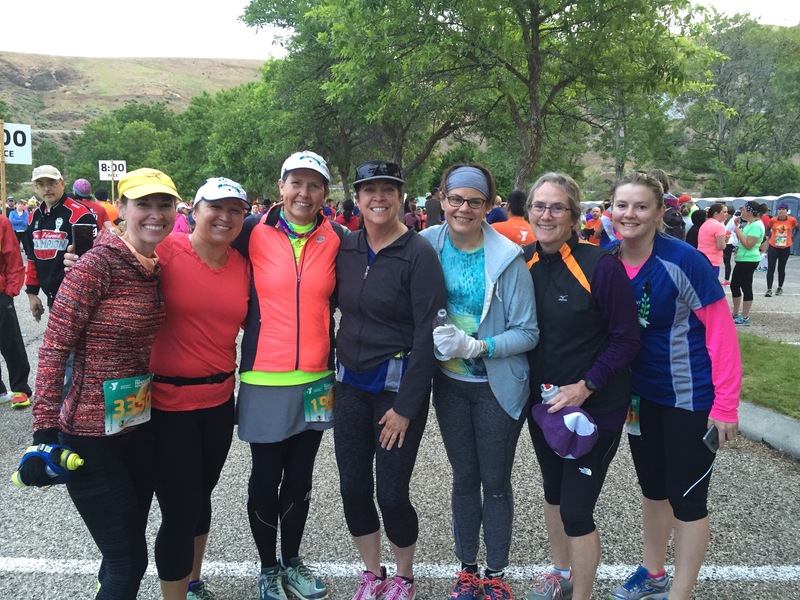 You can always run in a slower pace group, with the understanding that you may not push the pace of that group. Attendance is encouraged every week, but not mandatory. Just keep in mind that your runs need to be made up and it’s much easier to run with the group than on your own! What if it’s raining, too hot or too cold? As long as the weather is not hazardous, we will meet every week. The group atmosphere will definitely help you get out there on those cold or hot or rainy mornings. Just as races are not canceled because of inclement weather, we run in all kinds of weather! The only exceptions are ice (we cancel training) and lightning storms (we wait them out). Sometimes smoky air will cause us to cancel as well. What should I eat before a run? What about eating and drinking while I run? It’s best to eat a light meal before running and some popular choices are oatmeal, eggs, toast with peanut butter, or an energy bar or protein shake. It’s ideal to have a protein/carb mix. Use the training runs to experiment with breakfast foods that won’t upset your stomach during long runs. Running is one of the least expensive sports when it comes to purchasing necessary equipment and gear. All of the items listed below can be purchased both online and at a variety of stores, but we strongly suggest purchasing shoes at a specialty running store. – Good running shoes, custom-fitted at a local runner store for your foot and stride. – Running socks (not cotton) and/or compression socks. – Not necessary, but helpful is a watch with an interval timer or interval app for your phone. We recommend the GymBoss interval timer, available at local running stores or on the Jeff Galloway website: http://www.jeffgalloway.com/. – Technical shirt (t-shirt or tank top), shorts and socks that wick sweat: These fabrics are commonly called cool-max, dry-lete or dri-fit. While ‘fashion’ is not an issue for runners in the Galloway Training Program, wearing the “correct” gear and shoes make all the difference between enjoying a good run and suffering from chafing and/or blisters. Do not wear any cotton, as cotton absorbs sweat and quickly becomes very uncomfortable. – Food to eat on-the-run: use the training runs to experiment with energy bars, gels and/or trail mix that won’t upset your stomach during long runs. Can I give your group a test run first? Of course! We would love for you to join us on a Saturday run to see how the group functions. We have runners at all levels, and the Galloway method works for everyone.